Above, a Daily Record headline from November 1998. The allegations – never refuted – were made in court by witnesses under oath. This week reports have surfaced regards decades of despicable abuse of child residents of Roman Catholic order the Sisters of Nazareth orphanages. Former residents told of savage beatings, sexual abuse, force-feeding and being made to eat their own vomit and faeces. Despite attempts to time-bar civil claims for compensation designed to prevent survivors from suing the Sisters of Nazareth, the time-bar was removed and legal action will happen. This brings us back to the Celtic Football Club situation. 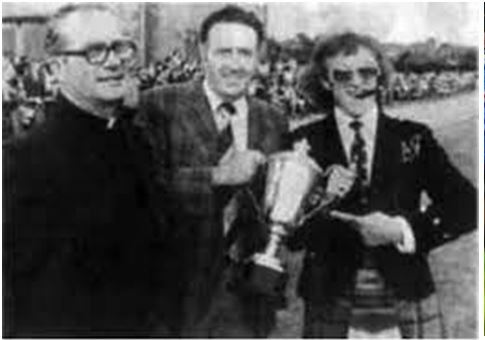 My understanding is that pending results of forthcoming court prosecutions of former Celtic employees accused of the sexual abuse of young players in their care, victims are lining up to commence civil compensation claims against Celtic for the abuse they endured and its subsequent cover-up. Developing story, as some may say.